Henry graduated from Texas A&M University in San Antonio with a Bachelor’s degree in Criminal Justice. He is a member of the Association of Former Students and serves as a mentor for Aggie Alumni in the San Antonio area. 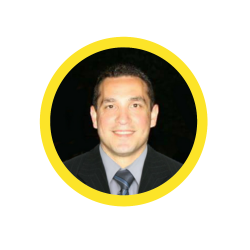 Mr. Mota (Henry), serves as the Chief Executive Officer at SATX Technologies. Mr. Mota establishes the company’s strategic vision and develops plans to reach company initiatives. Mr. Mota facilitates company activities such as consulting, sales, marketing, new business development and support. Henry is the company’s primary policy maker setting the tone for the company’s values, ethics and culture. After spending 20 years in law enforcement, Henry transitioned to the private sector. Retiring as a police Captain he is a proven leader with deep expertise in developing strong relationships. He has a passion for building outstanding teams and has a disciplined focus on operations and execution. Henry spends his leisure time traveling, appreciating music and spending time with his family and friends.